The Concrete Cup is a skateboard series and consists of six races around the country. It begins and ends in Malmo. 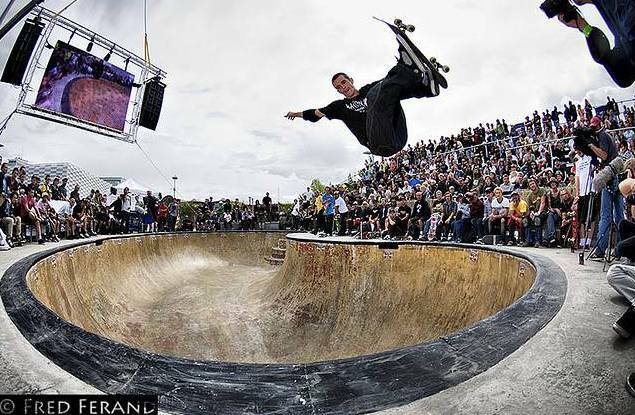 This year BetongCupen started on Sibbarps skatepark May 14 Concrete Cup consists of six races over Sweden and a great conclusion to Stapelbäddsparken in Malmö on 19-21 August. The other stops were Umeå June 4th, Falkenberg June 18th, Jönköping June 23th, and Halmstad . The initiative for the Concrete Cup comes from a long collaboration between Malmö and union brewery. The cooperation has helped make Copenhagen to one of Europe's most vibrant cities skate - with an indoor sports hall and three concrete plants. 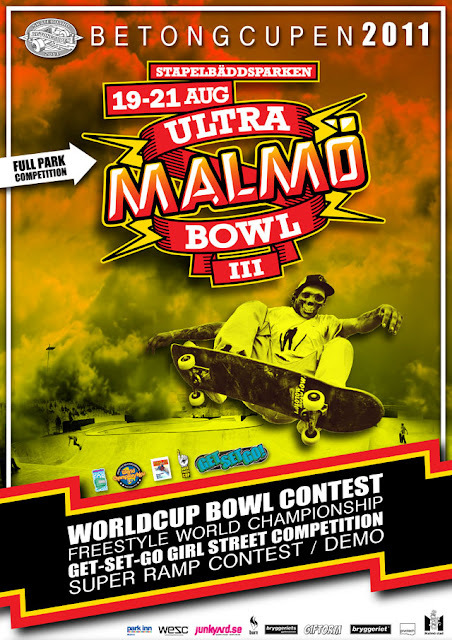 We are close to the event of the year, Malmö Ultra Bowl 3 that will go off on the 19th – 21st of August at Stapelbäddsparken in Malmö. This year the contest will move out from the pool and take place in the whole park. All of you that witnessed the Bowlriders events we had a few years back know exactly what to expect, world class skateboarding by some of the best skaters in the world. On the line is a total prize purse worth $20,000. The Malmö Ultra Bowl contest is part of the World Cup of Skateboarding summer tour and is expected to be a nail bitter thanks to incredibly talented pro skaters scheduled to compete. 1-Get Set Go – Girl street comp will take place on the Saturday and finals on the sundae. 4- Malmöfestivalen – Malmö Festival – starting on the 19th and goes on for a week. We will keep you updated from now on as things proceed so keep watching this space. If you need somewhere to stay check out our accommodation page here. If you can’t make it over to Malmö there is a live web cast starting on the 19th. The Ultra Malmö Bowl Pro Division is one of the most know bowl contest on the circuit, so the list of competitors really is like a skateboarding who's who. Among the skaters expected to compete in the Pro Division this year are Americans Sky Siljeg (#2 in Wellington in January 2011), Andy MacDonald (who just landed #3 last Week at the Dew Tour in Portland Oregon), Nolan Munroe (#1 in Marseille last June), Josh Sandoval, Kevin Kowalski, French Julian Benoliel, Guillaume Mocquin and Dominican Daniel Cuervo. You may recall that Kevin Kowalski broke his wrist earlier this year but managed to take home top honors at the Florida Bowl Riders competition and finish 10th at the Dew Tour Ocean City, Maryland, tour stop. Another pro expected to compete is 19 year old Malaysian skater Arina Rahman. Known for delivering performances that fire up a crowd, Rahman quietly entered American skate fans' radars after his stellar performance at the 2008 Asia X Games. Since that time he has participated in a variety of International skate competitions including Sweden's Avesta BetongCupen. 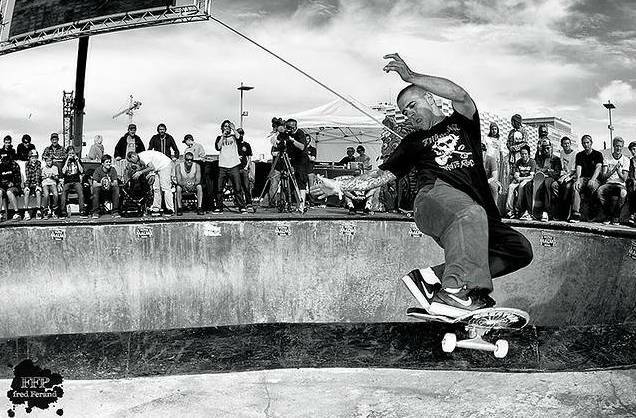 In the Master Division, 46 year old UK skater and member of the Vans Team, Sean Goff is scheduled to match wits with fellow UK cohorts Joe Atkins and Paul "Dicky" Davis, who have participated in previous Ultra Malmo Bowl events. All are strong competitors. Earlier this year Atkins took 12th place in Vert Attack 5. The Vert Attack 5 was ultimately won by UK's Jake Anderson, who is currently not on the Ultra Malmo Bowl III's list of competitors. The men will also be going up against the likes of legendary American skater 42 year old Sasha Steinhorst (from the WCS) and Germany's Anders Tellen; who landed lands #1 at 2011 Volcom Bergfest a couple of weeks ago. Other countries represented in the Master's Division include Australia, Denmark and of course Sweden. Thanks to Fred ferand for the picture.